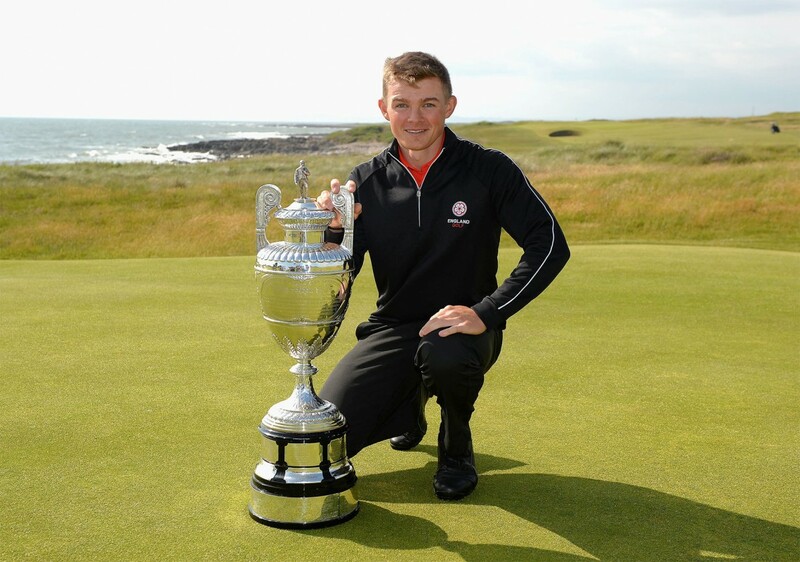 Royal Porthcawl was delighted to welcome back The Amateur Championship for the seventh time. The event brought the world's best amateur golfers to Wales and a rare opportunity for spectators to watch, at close hand the stars of the future. Past winners of the trophy have included José María Olazábal, Matteo Manassero, Sergio Garcia and two time winner Gary Wolstenholme who famously beat Tiger Woods at Royal Porthcawl in the 1995 Walker Cup. The first stage of the Championship involved 288 players each of whom played two rounds of 18 holes, one on each of the two courses. The 64 lowest scores over the 36 holes and ties for 64th place will competed in the match play stage of the Championship. Scott Gregory (England) from Corhampton and Robert MacIntyre (Scotland) of Glencruitten delivered an exciting final with the Englishman eventually winning 2 & 1. This win has secured Scott Gregory entry to The Open Championship at Royal Troon, the US Open at Erin Hills and an invitation to the Masters at Augusta National.